I’ll be leading two data modeling courses in Des Moines, Iowa the first week of October. Register now as spots are limited. In this introductory workshop, Karen Lopez covers the theory and skills required to being working on data models in an enterprise environment on modern project teams. With demonstrations and several exercises, this training course provides the basics and tests attendees to demonstrate their new skills. This course follows a workshop format, with both individual and team exercises. …but this isn’t your average "Here are all the Normal Forms, now go create a model" course. Our goal is to make data modeling relevant to modern development practices and tools. We’ll talk about some of the pain points modelers feel, why developers and DBAs sometimes don’t see the same beauty in our data models and how to ensure everyone, IT and business, sees the value of data modeling and data modelers. As a basic course, it is not expected that attendees will significant data modeling experience. However, we do expect them to have more than two years of hands-on information technology skills at the enterprise level. We offer advanced courses for those who do have data modeling experience. It is also common for attendees of the Basics course to sit in on the Advanced courses to get a better understanding of the issues that experienced data modeler see on a regular basis. In this advanced workshop, Karen Lopez covers how to make data modeling more relevant in 2012 and removing pain points for modelers and other team members. It includes how to be successful in an agile/scrum environment, how to make models valuable in a NoSQL project, how to better work with DBAs, Developers, Project Managers and how to sound and be more valuable. With demonstrations, exercises and peer-discussions its goal is to give attendees the attitude and skills to add value and be more valued on modern project teams. This course follows a workshop format, with both individual and team exercises. As an advanced course, it is expected that attendees will have more than two years of hands-on data modeling and database design skills at the enterprise level. We offer a basics course for those who do not have this experience or feel they need a refresher before participating in this course. Karen Lopez is a Sr. Project Manager and Architect at InfoAdvisors. She has 20+ years of experience in project and data management on large, multi-project programs. Karen specializes in the practical application of data management principles. She is a SQL Server MVP, an advisory board member for Zachman International, and an Advisory Committee member of DAMA International. Karen is also the ListMistress and moderator of the InfoAdvisors Discussion Groups at www.infoadvisors.com. 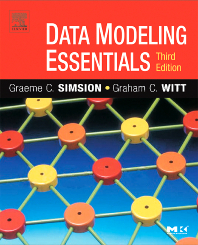 Important: Karen strongly recommends purchasing a copy of Data Modeling Essentials 3rd Edition by Graeme Simsion and Graham Witt. These classes will be based on this book. See DAMA Iowa event page for information about registration and cancellation policies.